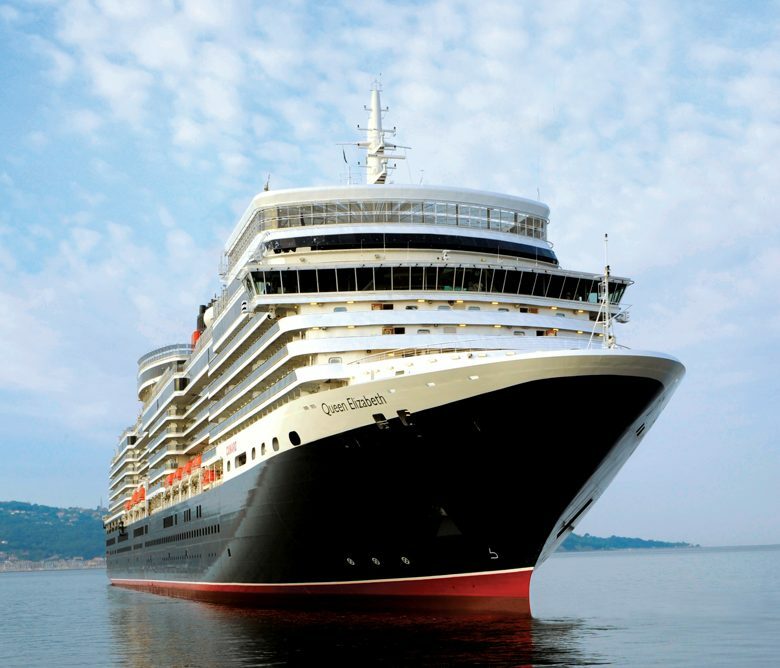 The youngest ship in the Cunard fleet Queen Elizabeth underwent her latest refurbishment in November 2018. 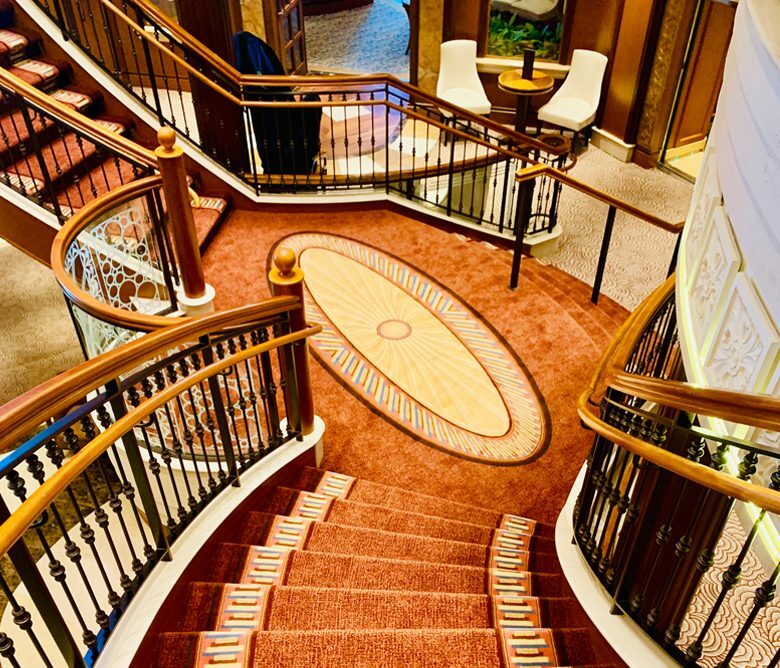 45.000 sqm of carpet were designed to marry the ship’s elegant Art Deco heritage with up to date interior furnishings and colour schemes: golds and deep rich blues feature strongly teamed with modern stone grey neutrals and terracottas. 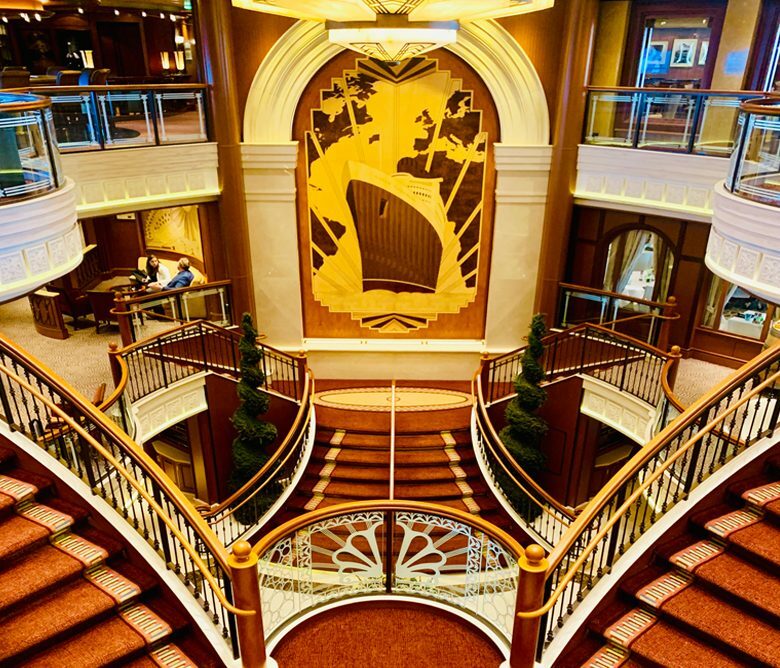 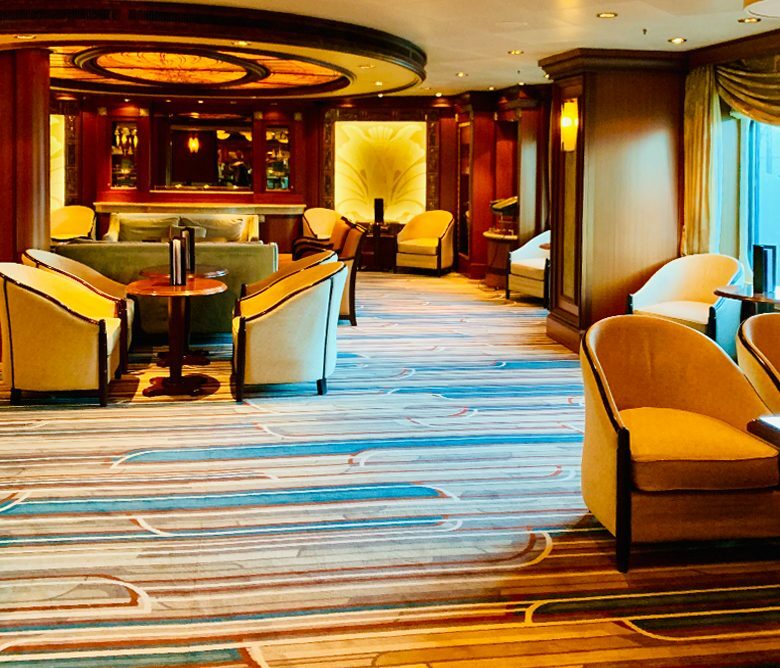 Other areas on the ship have been newly invented with contemporised, sharply delineated Deco geometrics and natural forms.